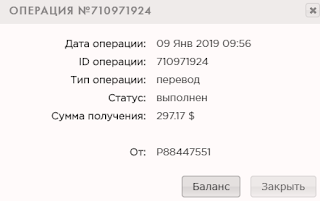 The amount of 2.51 USD has been deposited to your account. Accounts: U7594488->U9620355. Memo: Shopping Cart Payment. Withdraw to indoinvestorclub from Luxearn.. Date: 18:19 06.01.19. Batch: 241891879. 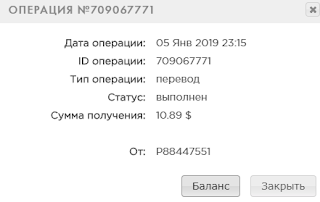 The amount of 1.51 USD has been deposited to your account. Accounts: U7594488->U9620355. Memo: Shopping Cart Payment. Withdraw to indoinvestorclub from Luxearn.. Date: 15:57 11.01.19. Batch: 242419794.